Although I still maintain my real-estate license, my focus has somewhat shifted to concentrate on the primary cause of a person achieving a quantum leap of success in all areas of your life: professionally, financially, and personally. With a concentrated effort on this factor alone, results can be achieved which are exponentially greater than the applied effort. One observation that I continually witnessed in my many years successfully selling real estate ‘off-the-plan’ is that the greatest indicator of a real-estate professional’s success is not the market, the property, the time of year, or even the client. Success is always a measure of the health of the individual’s mindset. This is an undeniable truth and is something which many professionals leave to chance, preferring instead to ride the waves of external, non-controllable circumstances. I define ‘mindset’ as the beliefs we hold in our subconscious mind, which are operating on autopilot while we are thinking about more mundane issues. Our mindset automatically dictates our reaction and our behaviour in all situations. It makes sense, therefore, to have a ‘mindset’ which is driving us towards our success, while we are trying to work out what to have for dinner. One thing almost universal among successful professionals is that they expect to win, not just hope to win. They have a “Winners Mindset”. Definite expectation delivers confident and dogged action, which is the desired behaviour. When failure is not a possible option, new paths open up before us and we can navigate the non-controllable factors with ease. A success-oriented mindset is not something that we were born with. It is something that some people possibly discover accidentally after many years of trial and error, and a very small few adopt deliberately through a short period of intense mindset development with a qualified mentor. After personally witnessing my own success and lamenting the failure of many of my colleagues, I sought out a teacher who could explain this phenomena to me. When I came across Bob Proctors life work (over 56 years’ worth) I knew that he had successfully identified the all-important primary cause factors and had developed techniques to rapidly instill the success mindset which I had developed in myself over many years. I had to learn more, much more. This was over 10 years ago, and I have never looked back. I have since become actively and ardently involved in facilitating the education of these principles to whomever is inspired to take a powerful and proactive role in their future success. I have witnessed the blooming of many a burgeoning career, as these principles are applied by those clever enough to fast-track their success and understanding of human behaviour. The single-greatest piece of advice that I can offer to a young professional in the Real-Estate industry is to not leave your success to chance. Unless you have a limitless bank account, you do not need to wait until you have many years of experience under your belt (and, even then, this is not an indicator of success). If you are going to aim for the sky, make sure that you have the necessary mindset that will give you the needed fuel to get off the ground. The greatest challenge in life lays within ourselves. Those that are willing to go beyond their fears, conquer their limiting paradigms, and break through their fear barrier will find that there lay great treasures laid up for you. Robyn Woodford is regarded as one of Australia’s Most Trusted Success Mindset Mentor for the Real Estate Industry. She is an expert in overcoming mindset obstacles for professionals who want to achieve unlimited sales success! She enlightens, inspires and moves others to achieve big dreams and breakthroughs by removing the never-ending blocks that keep them from realising their goals. 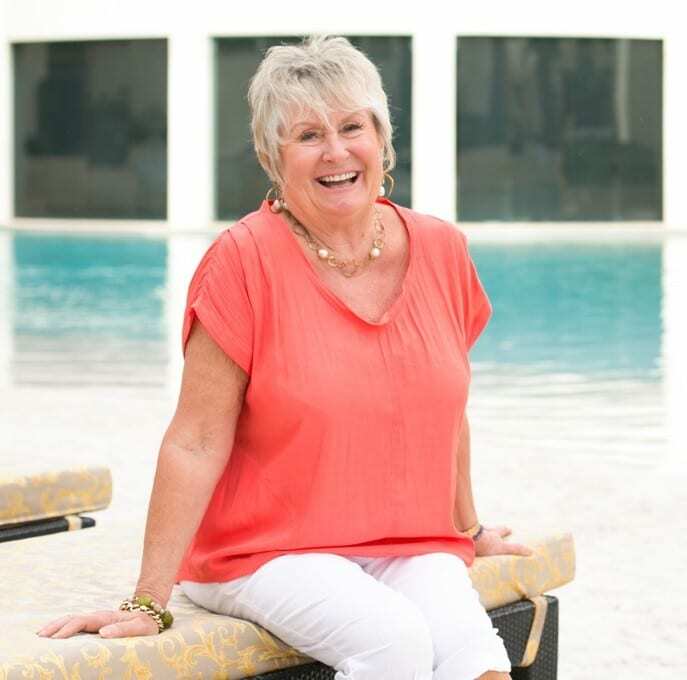 Robyn combines 35 years of huge success in high-end real estate sales and investments with decades of study and daily practice around mindset and the Law of Attraction. Robyn adds extra value with her passion and commitment to personal development and coaching that translates across every business sector. Her unique blend of entrepreneur, mentor and sales guru helps professionals make a quantum leap in their abilities to succeed, so they can be more, do more and enjoy themselves, their lives and their work.